Shannon Erne Waterway Locks – So easy to use! This has been the most challenging video we have mad to date. It was shot over five separate days. Mainly because it has lots of short shots and even though we had a long list of shots to take we still ended up returning to take some again. Add to that, that it is shot in two separate locations, firstly on the Shannon Erne Waterway in Leitrim and then some shots on the Royal Canal in Longford. The video is about the different types of canal locks but also about how they all operate on the same principles. I have to say that we really enjoyed filming it, it was challenging at times too. Took this pic on Lough Garadice last weekend, which is part of the Shannon Erne Waterway. 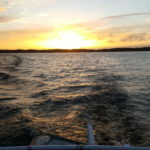 We’re heading for the Shannon Erne Waterway and today is our last day on Lough Erne. 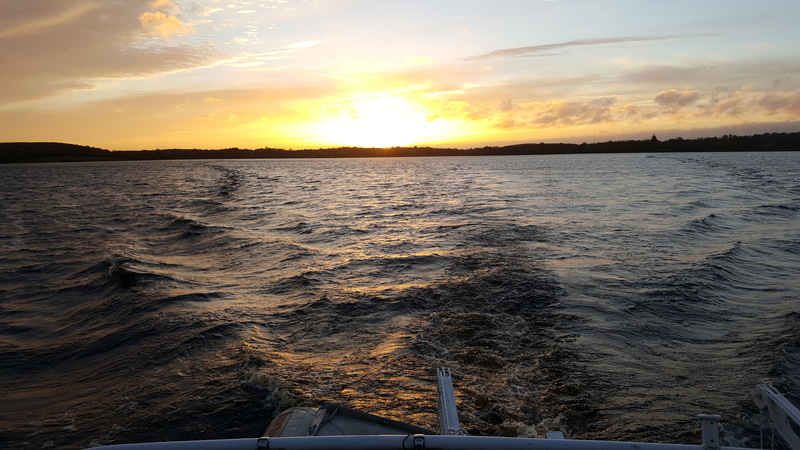 We have been on Lough Erne all season (and what a season it was too) but now were on route for the lovely Shannon Erne Waterway with its mix of lakes rivers and canals. Join us on this cruise on the Irish waterways from Ballinamore to Lough Garadice, one of Ireland’s favourite fishing lakes. Ballinamore is in county Leitrim and has a rich history. It’s a major town on the waterway in general and the largest town on the Shannon Erne Waterway. There is no shortage of good places to eat, and some very good pubs too. I didn’t count them but there is a pub for every age group and taste. The river weir is in the town and there are two public moorings, the one we stayed in is on the outskirts of the town and has a full service block. We were the only boat there except for a Waterways Ireland boat. The second one is right in the town centre. Originally this waterway was called The Ballinamore and Ballyconnel Canal after the two main towns along its course. This waterway was restored to navigation in 1994 and it is a kind of high tech waterway with everything being operated by a smart card. River Shannon Cruises come in lots of types; on this one we’re going to cruise to Lough Erne along the Shannon Erne Waterway. Each week we publish another episode as we document our River Shannon cruises through the Irish countryside to Lough Erne and beyond. Undoubtedly River Shannon cruises and the whole navigable waterway system both north and south are the best cruising grounds anywhere in Europe, the Irish waterways have everything. Lough Erne is our destination for the next few weeks and we are documenting all the wonderful sights along the way for you to enjoy. Join us on the Shannon Erne Waterway as we take a canal boat trip from Leitrim village up through the locks to Kilclare. This canal links the River Shannon with Lough Erne, it has sixteen locks and this waterway consists of still water canal, lakes and river sections all within sixty three kilometres. In this video we take on the still water canal stretch from Leitrim up through eight locks to Kilclare. Kilclare is a lovely stop off, there is a basic shop and a nice pub the Sheemore Inn that does food all day. It’s just before the summit level too so you have all the hard work done by the time you get there!